Williams has a rich and vibrant musical heritage. For generations, Williams men sang with each other in celebration of athletic accomplishments and for their own entertainment. The spirit and sentiment forged by those fraternity brothers continues today, with dozens of student musical groups active on campus today. The last edition of the Williams songbook was published in 1959, over a decade before the advent of coeducation. We invite all members of the Williams community to submit new songs for potential inclusion in a new edition of the Williams songbook, which will reflect the rich history of our past while more appropriately reflecting who we are as a community today. One submission will be selected by alumni to stand beside “The Mountains” as a song of Williams today. October 3, 2015: Submit Your Song before January 31, 2016. January 31, 2016: Deadline for song submissions. All songs must be submitted by 11:59 p.m. Eastern. See submission guidelines below. Early Spring, 2016: Judging Panel reviews songs submitted for their consideration; the panel will select a number of finalists for alumni vote. All submissions will be anonymized prior to their review by the Judging Panel. Spring, 2016: Alumni vote on their favorite selection of the finalists via online ballot. The winning song will be announced in May 2016 with first formal performances over Commencement and Reunion Weekends. It is anticipated that the new songbook will be available during those key campus celebrations as well. In addition to the adoration of alumni and other members of the Williams community for generations to come, the winning entry will earn its creators free grilled honey buns for life from the Lee Snack Bar. All finalists will receive a shipment of select Williams treats, and will automatically be included in the new edition of the Williams songbook. All genres are welcomed, and submissions from individuals and groups are equally encouraged. Each entry must consist of lyrics, a recording (mp3) and/or sheet music (in PDF format). Both recording and sheet music are encouraged when possible. Sheet music may be formally scored, or loosely notated, such as a single melody with chords indicated. Lyell B. Clay artist in residence Brad Wells directs the vocal program and teaches courses in conducting, arranging and voice science and style at Williams College. 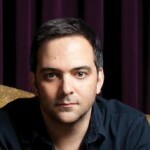 Wells is also founder and artistic director of the GRAMMY-winning vocal ensemble, Roomful of Teeth. This new music “vocal band,” praised by WQXR as “the future of vocal music,” performs regularly in festivals, on concert stages and in educational residencies nationally and internationally. Roomful of Teeth’s debut recording, directed by Wells and praised as “sensually stunning” by The New York Times, included the Pulitzer-winning composition, Partita for 8 Voices, by ensemble member Caroline Shaw. His own compositions – featured on the group’s second album, Render (2015) – have been described as “objectively and subjectively gorgeous” (I Care If You Listen). 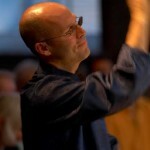 Wells has held conducting positions at Yale University, Trinity College, University of California at Berkeley and California State University, Chico, and has directed choirs of all ages. His ensembles have performed throughout North and South America, in Europe and in South Africa. Wells has lectured and published articles on the physiology and acoustics of non-classical vocal styles and the role of singing in film. As a singer, he has performed and recorded with such ensembles as Paul Hillier’s Theatre of Voices and Philharmonia Baroque Orchestra. Wells holds degrees from Yale University, the University of Texas at Austin and Principia College. 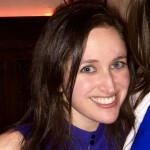 Rachel Axler is a playwright and two-time Emmy Award-winning TV writer. Shows she has written for include: The Daily Show with Jon Stewart, Parks and Recreation, Bored to Death, How I Met Your Mother, Childrens Hospital, Wet Hot American Summer. Rachel is currently writing for HBO’s Veep. Her play, SMUDGE, premiered Off-Broadway in 2010 and is published in English and German, one of which she speaks. Rachel graduated from Williams College in 1999, with a double major in Theatre and English. She was a member of the Ephlats and performed in a ridiculous number of Williamstheatre and Cap & Bells productions. She’s honored and psyched to be part of Williams’ new-song-choosing team. 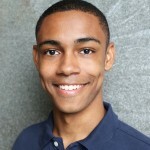 Justin Jones, a Chinese and History major from New York City, has played a variety of roles during his time at Williams, both on stage and off. He has performed in the Theatre Department productions of “Hamlet” and “The Hour of Feeling,” as well as Cap & Bells productions of “Art” and “Arcadia.” He is also a proud member of the improv comedy group Combo Za. Last year, Justin was a JA in the peerless Pratt 4, and he currently serves as Co-President of the Junior Advisor Advisory Board. Before coming to Williams, Justin was featured in an episode of Law and Order: SVU, and in the Universal Studios film The Express. 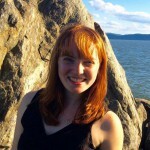 Claire Leyden ’16 is a senior from Croton-on-Hudson, NY, and is double-majoring in Music and English. Music (and singing, in particular) is a huge part of Claire’s life on campus–she participates in the Concert and Chamber Choirs, serves as a Music Director for the college’s longest-running acappella group, The Ephlats, and is currently pursuing a Vocal Performance Thesis within her Music major. In addition, she’s helped to organize the All-Night Marathon of Voices in Thompson Chapel, is currently President of EphCappella, Williams acappella’s organizing body, and is a TA for the Berkshire Symphony Orchestra. Claire was also a WOOLF Leader and organizes elementary outreach at Brayton Elementary School in North Adams. 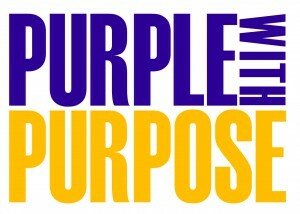 She has a deep love for the Williams community, and is looking forward to bringing new music into the Purple Valley! Adam is a songwriter, composer, music producer, and performer. Since 1996, he has been a member of the band Fountains Of Wayne (along with Chris Collingwood ’89). He also writes songs for film, television, theatre, and for other artists. He has won a Grammy and two Emmys, and has also been nominated for an Academy Award and two Tony Awards. His credits include the title song of Tom Hanks’ filmThat Thing You Do; original songs for the 2011 and 2012 Tony Awards telecasts, performed by Neil Patrick Harris; nine songs for Stephen Colbert’s special A Colbert Christmas: The Greatest Gift Of All; original songs for the Hugh Grant/Drew Barrymore film Music and Lyrics; original songs for the animated films Ice Age 4 and Robots; the Broadway musical adaptation of John Waters’ Cry-Baby; and numerous songs for Sesame Street and other childen’s tv shows. Please note that all submissions, including sheet music and audio submissions, will become the property of the college. Anyone participating in this competition agrees that by submitting a song for consideration s/he thereby irrevocably conveys to the college all intellectual property rights in the song and the material submitted (i.e. copyright and reproduction, recording and performance rights). The college will give appropriate credit and recognition to the songwriters of winning entries.